Bill Sheehan (second from right) focuses his scope on a yellowlegs shorebird on the opposite side of Lake Josephine in Easton while members of the Aroostook Birders find the bird with their binoculars. Judy Roe of Presque Isle takes her turn viewing a ring-necked duck floating on Lake Josephine in Easton during a morning birdwalk with 14 other Aroostook Birders Aug. 13. I never thought I would see any benefits in water pollution, but a recent excursion with the Aroostook Birders taught me there is a silver lining to our polluting past. Back in the 1960s and ’70s, Aroostook County farmers were temporarily sold on the idea of growing sugar beets as well as potatoes by New Jersey entrepreneur Fred Vahlsing Jr. One of the lagoons created to hold the sludge from Vahlsing’s processing plants in Easton has turned into a haven for ducks and other aquatic fowl. Said to have been named for Vahlsing’s mother-in-law, Lake Josephine was our destination at 7 a.m. one Saturday in August. As the sun burned off the morning fog, 15 birders and would-be birders headed out atop a dike with Lake Josephine on the left and the J.M. Huber Engineered Wood Products plant on the right. A would-be birder, I usually dismiss a gull as a gull. Now I was among people who could tell, even without magnification, not only whether I was looking at a herring gull or a black-backed gull, but also how old it was and whether it was molting. Binoculars and bird books in hand and calf-high Wellingtons on feet, members of the group were following Bill Sheehan, coordinator of the early morning bird walks who has a day job as an environmental specialist with the Maine Department of Environmental Protection. 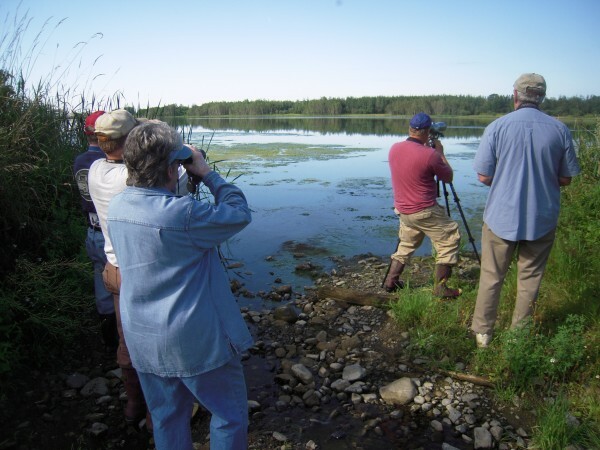 “Aroostook County has some of the best birding in the state,” Sheehan said. 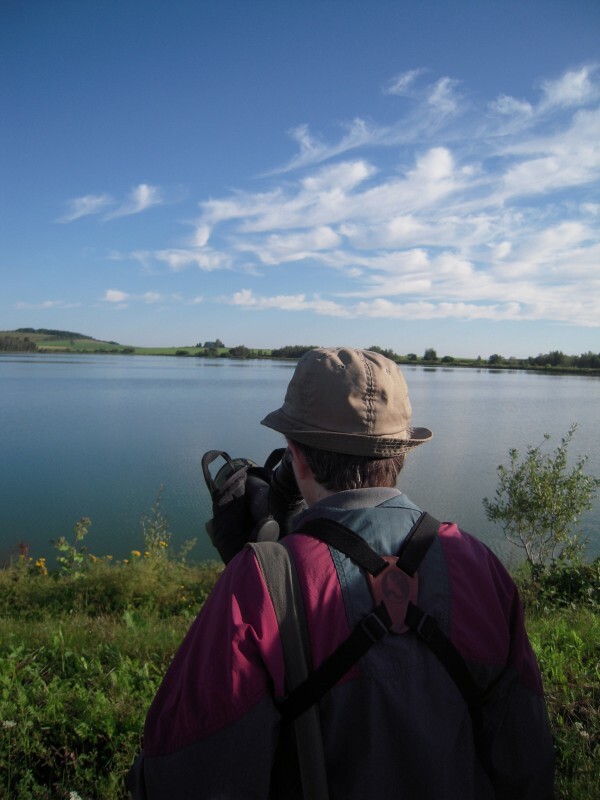 Lake Josephine and nearby Christina Reservoir are just two of numerous destinations throughout The County for Aroostook Birders. They have tramped around Ashland, Caribou, New Sweden and Westmanland. Plans for the fall include a return to Easton, geese-watching at Collins Pond in Caribou and a trip to the shore of Long Lake in Frenchville and St. Agatha. “What we call pollution is also a resource,” Sheehan said, elaborating on what attracts ducks and other waterfowl to the now abandoned wastewater lagoon in Easton. “Low to moderate levels of nutrient pollution in streams tend to cause green slimy rocks and water that humans don’t like. Invertebrates such as caddis flies, mayflies, damselflies, larvae, midges and aquatic insects live their early stages in the water and rise to the surface after they hatch, Sheehan explained. “They pop out of the algae mat between the toes of shorebirds who pick them out of the green scum,” he said, adding that bugs who make it past the ducks and the shorebirds become food for the birds we saw flitting among the branches of trees along the shore — kingbirds, finches, warblers, sparrows and cedar waxwings, to name a few. Sheehan focused his scope on one of two families of little ruddy ducks swimming in one of J.M. Huber’s stormwater ponds on the right side of the dike. Spotting numerous species of ducks and shorebirds, as well as eagles, loons, terns and cormorants, the group moved from Lake Josephine across a field and a road to conclude our morning of bird-watching at Christina Reservoir, named for Vahlsing’s daughter when he created it as a source of fresh water for his processing plants. Here Sheehan provided some history revealing that bird habitat is only part of the silver lining produced by processing pollution. The other part is political. Treatment of wastewater from potato and sugar beet processing evolved in four stages over a number of years, from discharge directly into Prestile Stream, to the creation of downstream sludge lagoons, to the formation of Lake Josephine to construction of a self-contained wastewater treatment plant, which is still operational. The process was not voluntary. Early discharges into Prestile Stream, once a trout fisherman’s dream, created a stench that offended residents all along the waterway. 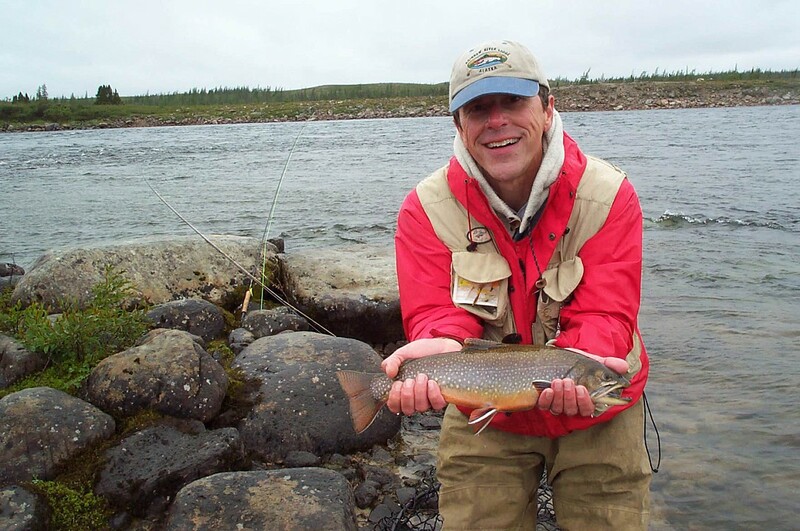 Little action was taken in Maine, but when the rank waters flowed into Canada, leaving hundreds of dead trout along the shore, Vahlsing’s pollution became an international issue. Canadians demanded the discharge cease and proved their point by erecting an earthen dam at the border in Centreville, New Brunswick, causing the water to back up into Aroostook County. They later erected a monument marking the spot where “a citizens’ war on pollution” began July 9, 1968. Politicians who had been instrumental in attracting Vahlsing to Maine, allowing the Prestile to be downgraded from Class B to Class D to permit industrial discharge, were embarrassed. U.S. Sen. Edmund Muskie was spurred to champion sweeping amendments to the 1948 Federal Water Pollution Control Act in 1972. As amended in 1977, the law became what we know today as the Clean Water Act. Kathryn Olmstead is a former University of Maine associate dean and associate professor of journalism living in Aroostook County, where she publishes the quarterly magazine Echoes. Her column appears in this space every other Friday. She may be reached at kathryn.olmstead@umit.maine.edu or P.O. Box 626, Caribou 04736.